Resume building tips that provide a simple but effective approach to writing a job-winning resume. Whatever your experience or the job you are looking for, these success-proven tips for writing a resume will help you get the interview. 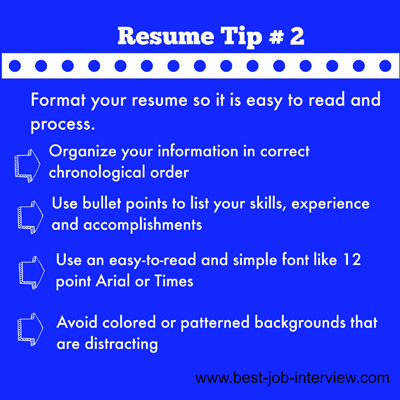 These practical and straightforward resume tips apply to all types of resume. Any potential employer needs to be able to get hold of you easily and reliably. Keep all your contact details up-to-date and pick up and return any messages as soon as possible. Both your email address and your voice mail message should convey an image of professionalism. Find out about creating the right personal brand for your job search. 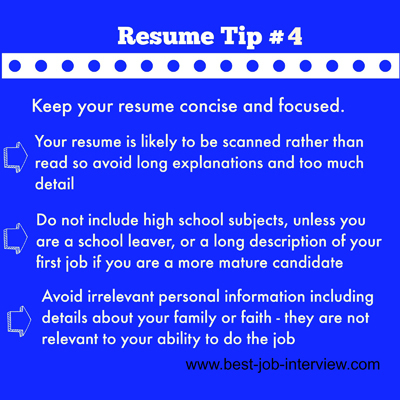 If an employer finds your resume too much effort to read and synthesize it will probably land up in the trash. Keep it clear and simple. Use one font and style for all your documents to create an impression of consistency. This sample resume template provides an efficient structure for your own details. Using bullet points allows you to present your experience in short, powerful statements. Begin each statement with an action verb for impact. Hiring managers say over and over that this is the number one mistake they see in resumes. 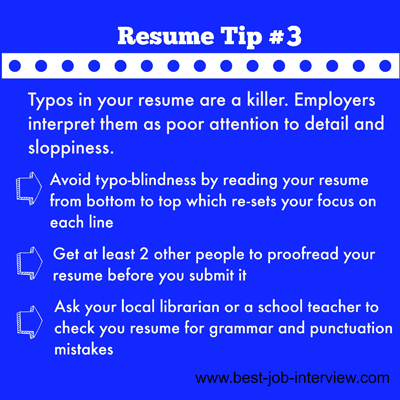 It seems obvious but it is easy to miss typos, particularly if you are continually tweaking your resume and seeing it so many times. 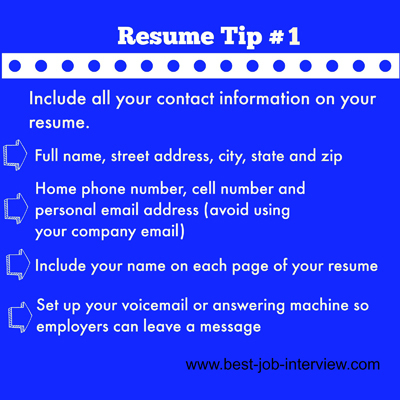 Make sure your resume helps and not hurts you by using these resume tips to prevent mistakes. It is essential to create a resume that quickly and convincingly tells the employer why you are a suitable match for the job opportunity. Avoid the mistaken belief that the more details you include the more impressive you appear. Include only pertinent information that is relevant to the job requirements and compelling for the reader. 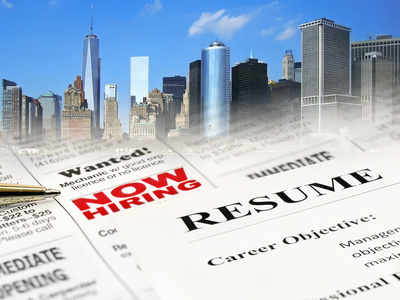 Your resume objective is key to this. 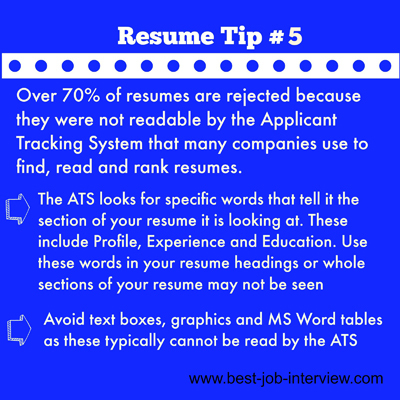 Use the right resume keywords to make sure your resume gets found and read by the Applicant Tracking System.